This site is currently under construction - contact Michael for details. If you are looking for counselling or psychotherapy in the Oxford area, you have come to the right place: I can help you access a uniquely wide range of therapeutic possibilities and help you choose between them. When considering any kind of therapy, there are many factors we want to take into account to make sure you get the kind of treatment you want and need. 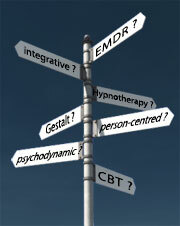 The 'psychological therapies', as they are now called, offer a confusing multitude of approaches. Ideally, the treatment is tailored to you, rather than you having to fit in with a therapist's particular approach. But how do you go about finding that kind of flexible, responsive, adaptable therapy or therapist? You can always pick a therapist out of Yellow Pages or do your research on the internet. But unless you understand what all these different therapeutic approaches are and how they work, how can you decide? Short-term or long-term? CBT, psychodynamic, person-centred, mindfulness, hypnotherapy, NLP (and many others ...)? This way of going about it is bound to be hit-and-miss. You could easily waste a year, trying out 4 or 5 practitioners, and - having spent a lot of time and money - come out none the wiser. As your point of entry, you want somebody who does not from the outset restrict your options. You do not want to have to adapt to the therapist's preferred approach. You want an impartial assessment and recommendation by an experienced and integrative practitioner, by somebody who has a comprehensive overview over what's available and who knows the field; somebody who has no particular investment or bias, other than trying to help you make the best decision. 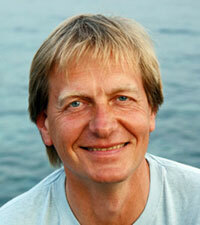 I am a UKCP registered therapist with more than 30 years' experience of counselling and psychotherapy. During this time I have worked with many people, from all kinds of backgrounds, and helped them deal with a wide variety of emotional and mental problems. As an experienced and senior practitioner, with responsibility for training and supervising other therapists, I have an understanding from both sides - from the client's and from the therapist's perspective - what it takes to make therapy work. If you want to work with me personally, I have limited availability, and have to maintain a waiting list. For the last 20 years I have, therefore, been running an Assessment & Referral Service, to help you find the 'right' therapist for you - quickly and efficiently. Looking for counselling or psychotherapy, for yourself or someone else ? Over the years that I have been in Oxford (since 1991), I have built up an extensive network of colleagues and associates in the region, and I have some knowledge of most local services as well as practitioners and their work. I am usually able to recommend and match you to a practitioner within a few days of an Assessment & Referral session, certainly in Oxford, usually throughout Oxfordshire, and often nationwide.